Good client facing skills & Good Communication skills. * Excellent knowledge on installation & configuration. * Experience on system administration module. * Excellent verbal and written communication. * Knowledge of Quality procedures is an advantage. * Knowledge of AIF, enterprise portal, workflow. Summary: Ms Crm 2013 Database Changes . 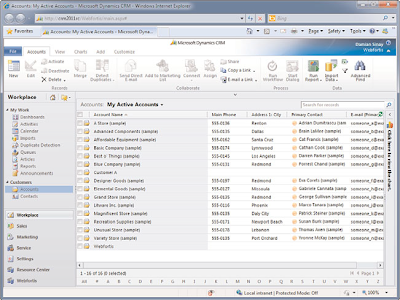 In Microsoft Dynamics CRM 2011, most of the entities have two SQL tables. The first table, called xxxxBase, contained all the of the out-of-box fields. 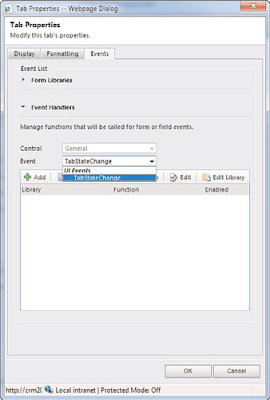 The second table, called xxxxExtension, held all of the custom fields. The guys at Microsoft have now combined these two tables in to one. In earlier versions of SQL server, there were restrictions on how many fields you could have in one table. The workaround for this was to split the fields in to two tables. Now, SQL is capable of holding many fields in one table so therefore it is no longer necessary to have the 2 tables. As there are now less tables in the database, there are fewer SQL errors caused due to conflicts in accessing database. A variety of scenarios have been tested and in each case, an increase in performance has been noted. Although not supported by Microsoft, any custom code that references the old tables may not work. You will need to update these references so they match the new tables, or better still use the Microsoft SDK. 5.How do I update my tables? The tables will be merged as part of the upgrade so you do not have to do anything. However, it is possible to defer the merge until after the upgrade. 6.Should I defer the merge until after the upgrade? If you database is 15GB or over then it is recommend that you defer your merge until after the upgrade. If you don’t then it could take several hours to upgrade. Please refer to documentation on how to defer the merge. Microsoft Dynamics CRM 2013 solutions online free tutorials,materials,interview questions. Sub: Ms CRM 2013 Solutions Concept online training . mechanism for deployments of virtually any kind of system customization. Previous versions of Microsoft Dynamics CRM allowed only for the customization of entities that you were able to export and import in one single XML file, but other customizations, such as reports, templates, and plug-ins had to be deployed separately. Microsoft realized that partners and clients were having a hard time trying to maintain CRM customizations because they usually involve modifying entities’ views or forms or modifying and adding new attributes to the entities. Most of the solutions that currently exist on CRM and xRM environments involve other pieces of software such as plug-ins, reports, custom static and/or dynamic pages, images, scripts, Silverlight applications, flash animations, templates, and web services just to name a few. By default each CRM organization has a hidden solution created with a friendly name of Default Solution. This is a system solution that cannot be deleted. To work with the default solution, go to Settings, Customizations, and then click on Customize the System as shown in following . 1. 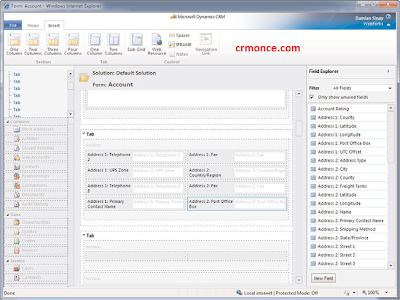 Microsoft Dynamics CRM for Microsoft Office Outlook and Microsoft Dynamics CRM for Outlook with Offline Access. 2. The E-mail Router manages both incoming and outgoing messages. 3. The E-mail Router also supports POP3 e-mail systems for incoming messages and SMTP e-mail systems for outgoing messages. 4. 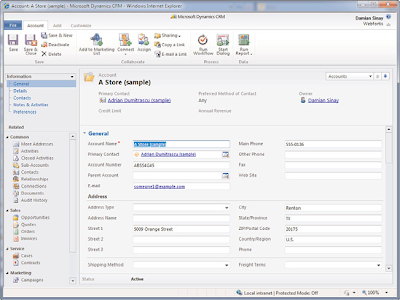 Microsoft Dynamics CRM e-mail messages are sent asynchronously by using E-mail Router. 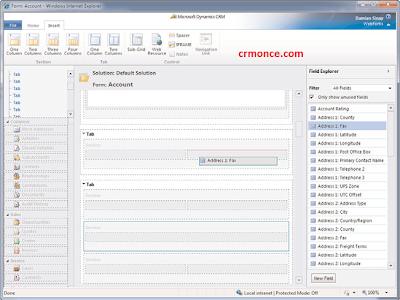 The CRM E-mail Router is a piece of software that receives messages from a service and forwards the messages to another service. For example, the messages are received from the CRM Server, and they are forwarded to Microsoft Exchange or to the configured e-mail server, or vice versa. 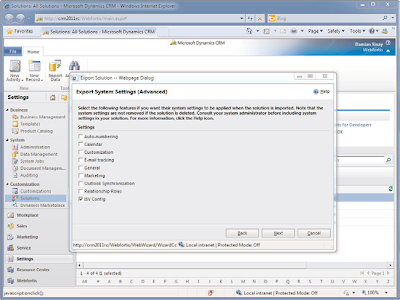 The CRM E-mail Router comes as a separate installation and must be installed after the CRM Server installation. You can install the CRM E-mail Router on a separate server; this doesn’t need to be the same server where you have Microsoft Exchange Server installed or the same machine where you have the CRM Server installed. You can even install it on a separate server or computer running Windows 7, Windows Vista Business, or Enterprise because those are the versions that can be joined to a domain. The computer that you install E-mail Router on must have a connection to the Exchange Server or POP3 e-mail server. Also, the server is not required to be a member of the same domain as the CRM Servers. 1. E-mail Router service and program files. 2. E-mail Router Configuration Manager. 3. Rule Deployment Wizard. This wizard lets you deploy rules that are used to route e-mail messages to a forward mailbox. It is our pleasure to introduce to you Prism HR Consultants, a full spectrum Human Capital Services Company. Â· 4-7 Years of total experience in CRM and must have minimum 1 full cycle implementation experience with Microsoft Dynamics CRM 2011. Â· Facilitate end to end solution and inter work-stream domain specific issue resolution. Â· Creation of SRS, Design Document, Test cases, User manuals. Â· Should be able to develop Functional and Technical Design documents and deliver independently. Â· Knowledge of software applications and architectures, SDLC, Project Lifecycle and Fundamentals of Web Servers and Application Development. Â· Extremely sound in Dynamics CRM entities, workflows, configurations, plugins, ribbons, customization development, dashboards and report development, integrations development and solution backup..
Â· Must have strong .Net skills and understand the functionality of Microsoft CRM Modules. 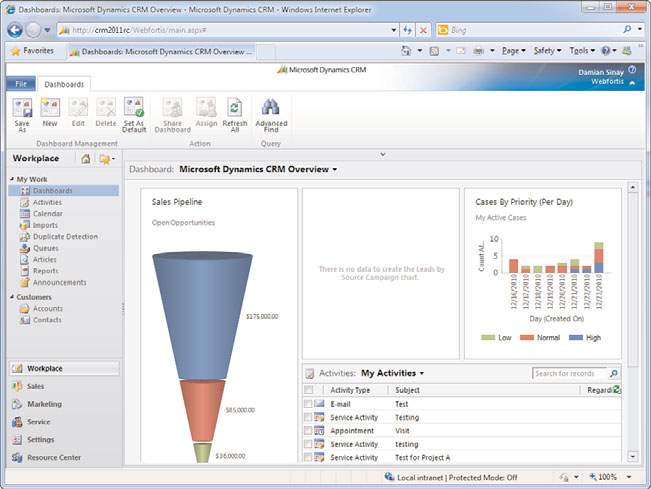 Actively involved in the integration projects between Microsoft Dynamics CRM and third party products. Â· Integration skill with ERP, Email, Central database repository, other application and Web portal. Â· Must have working experience on SQL 2008/2012, Web Services, XML, C#, ASP.Net, VB .NET, SQL Server Reporting Services. Job location : 4 positions in Banglore & 2 positions in Dubai. We are looking the candidates for Bangalore Location and who can join within 30 Days. * Solid knowledge of CRM, .NET, SharePoint, client server programming, data structures and software development methods, principles and techniques. * Good knowledge of CRM, .NET and SharePoint, and experience with enterprise technology environments including IT control processes, security and architectural considerations. * Ability to review, understand and improve program code and system documentation. * Good verbal and written communication including ability to prepare system documentation. * Ability to interpret solution documentation and identify areas of concern and recommend approach. * Ability to multi-task in a dynamic work environment. * 4-6 years programming and support experience with 2-3 years project work in a relevant domain. Sap CRM functional/Techinical Opportunity business processing online training,free material ppt,pdf download. You use this business process to maintain and qualify opportunities, which are recognized possibilities for business, for example, the sale of products or services. An opportunity can result from a trade fair, sales deal, bid invitation, or from a lead with the status Hot. The opportunity makes up the framework for displaying sales projects from the beginning, and monitoring their success. An opportunity goes through a sales cycle that is characterized by different sales stages. Different activities are carried out in each sales stage. The sales cycle is determined from the point of view of time, by the start date and expected end date of an opportunity. You put the sales team together, and enter members of the sales team in the opportunity. You then distribute the opportunity, either internally or externally. In internal distribution, you, for example, as the sales representative or sales manager, enter an internal employee as the employee responsible for the opportunity. You enter the relevant products or product categories pertaining to the prospect. According to Customizing settings, SAP CRM creates an activity plan that proposes specific activities (business activities and tasks) for the different stages of the opportunity. You activate the required activities, and add new ones as required. In this way, you put together a specific activity plan for the opportunity. You qualify the opportunity by using the opportunity assessment (questionnaire), together with the chance of success calculated by the system resulting from the assessment (questionnaire). Through Customizing, you can prompt the user with an assessment when the value of a parameter crosses a threshold value. On this basis, you decide whether the project is to be continued (go/no go decision). You work with other elements of the sales methodology, such as the buying center, project goals, and competitor information. OnChange event:Is fired every time the value of the field is changed and after it loses the focus . Tell me about your client business process in marketing? What are the different campaigns your client using and explain them? Explain the lead business process according to your client? How can you classify the leads? How the Lead will convert as a Opportunity automatically? where do we configure the Surveys and what is the Path or T-code? What are the all areas that we can use questionnaires? How can you qualify the leads? did you write any functional spec's for your client business process? Where do we configure the number range for leads and what is the object to maintain the number range for lead? Can we create the multiple leads for a single prospect? if yes, how can we restrict that? What is the significance of an Opportunity in sales process? what is the difference b/w opportunity and sales methodology? How can you configure the sales cycle, explain step by step? What is the importance of sales assistant? 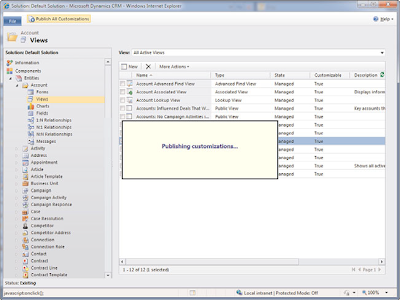 Ms Dynamics CRM 2013 Ribbon Customizations,Display Rules,Editor free tutorials in pdf download. Summary: Ms CRM 2011 Ribbon Customizations online training. The HomepageGrid is the place located in the home page of any entity where the main grid is located. following figure shows the HomepageGrid for the Account entity. The Form is the place located in the entity record form of any entity where the Ribbon is located on top on the form. 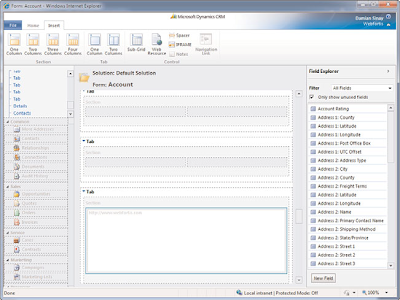 below shows the Form location for the Account entity.
. OutlookVersionRule:A rule that detects the version of Microsoft Office Outlook client.
. SelectionCountRule:A rule that detects how many items in a grid are selected The SDK comes with samples that will help you easily add custom buttons to an existing group for all entities or add custom buttons to an existing group for specific entities. In addition you can add custom groups to an existing tab for specific entity, add custom tab to specific entity, add custom groups to the developer tab for all entities in a form, and hide Ribbon elements. These samples are located in the sdk\walkthroughs\ribbon folder.
. Id:the unique identifier for the button. Inside the command deifintiions you can include the rules for enable or disable the buttons (inside the EnableRules node), show or hide the buttons (in the DisplayRules node) and the actions to be performed when the button is clicked.
. Sequence:The integer number of the sequence to define the position of the button related to the other buttons in the same group. Inside the Title node you can enter as many Title node as languages you want. The languagecode used on this sample 1033 refers to the English language.
. TemplateAlias:The alias of the template to be used, this will affect the way the button will be displayed, o1 will display the button big, and o2 will display the button small.
. Image16by16:The id of the web resource used for the 16 by 16 pixels image, this is the image that is used for small buttons. If you use a web resource you need to enter a value as follows $webresource:<name of the web reosource>.png.
. Image32by32:The id of the web reource used for the 32 by 32 pixels image; this is the image that is used for big buttons. If you use a web resource you need to enter a value as follows: $webresource:<name of the web reosource>.png. 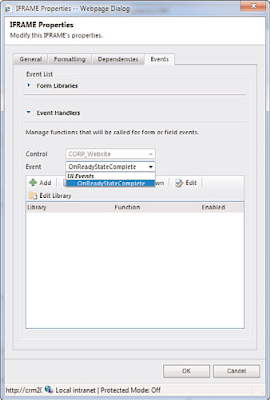 Ms CRM 2013 ISV.Config Customizations online free Tutorials download. Summary:Ms CRM 2011 ISV.Config Customizations online free Tutorials download. ISV.Config is an XML structure that is part of the customizations.xml file that is included on every solution. 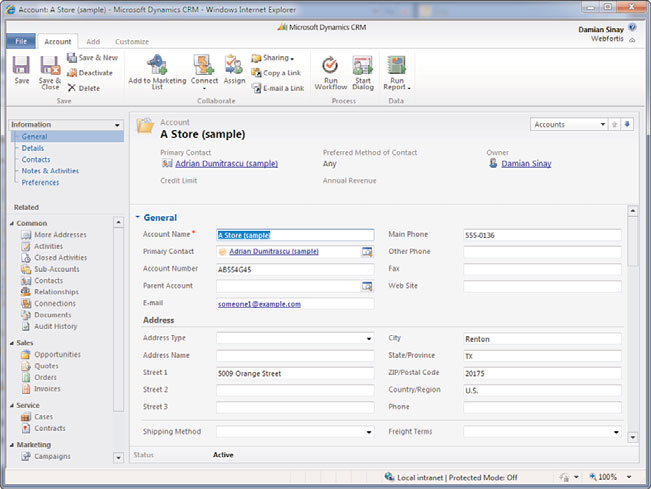 In earlier versions of Dynamics CRM, it was used to add custom menu items and controls to the toolbars. 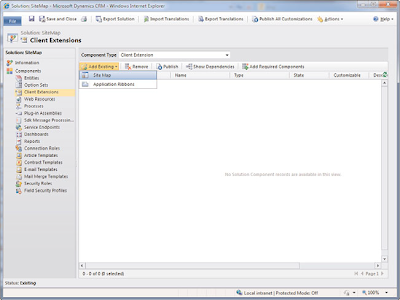 However, in this new version of Dynamics CRM 2011, that functionality has been moved to the Ribbon as we will see later in this chapter. 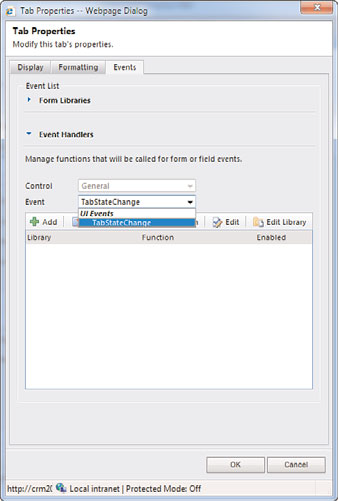 The only functionality of the ISV.Config is to provide appearance and behavior of the Service Calendar. To be able to work with the ISV.Config XML, you need to explicitly specify it when importing the solution by selecting the ISV.Config option, as shown in below Figure . made here won’t be removed when removing the solution.
. SmoothScrollLimit—This option sets the maximum number of blocks to be displayed by a service activity before auto scrolling the appointment when it is selected or displayed.
. ValidationChunkSize—This option is used to configure the number of activities to be validated simultaneously by the server. The validation occurs in cases where more than one activity requires the same resource or materials.
. “Working with Service,” for more information about the ServiceManagement node. We are currently hiring for one of the CMMI level 5 companies in MUMBAI location for a MS Dynamics CRM 2011 resource. Main Responsibilities: MS CRM configuration and Administration MS CRM Customization CRM SDK (Plug-ins and Custom Workflows) Development Reports Development using SSRS / Report Builder Excel and Silverlight skills will be an added advantage. Also, since this is an urgent requirement we would like you to join us immediately within a notice period of 15 days. please send your CV to Gianluca gianluca@nigelfrank.com or call directly at toll free number 800 875 032 International. In addition visit our website www.nigelfrank.com. Nigel Frank International is the specialist agency in Microsoft Dynamics CRM globally. We deal with both Microsoft Partners & End Users throughout the Italian territory and in Europe. Given our specialization exclusively within the Microsoft offer real opportunities for career growth in specific technologies. shall be guaranteed full confidentiality during consultations! Nigel Frank International Ltd is acting as recruitment agency in relation to the above position. 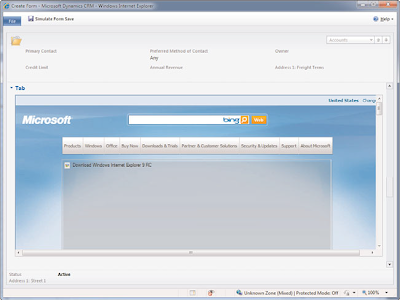 Summary: Ms Dynamics Crm 2011 Menus and Ribbon Customizations online free tutorials,materials. Menus are the options you can see in the File tab of the ribbon, the one that is colored in blue. From that tab you will have a menu, such as Save, New Activity, New Record, Tools,and Options. Notice that every entity has its own menu items as well when you go to create or update a record.Ribbons are the buttons shown in the top bar below the menu. These buttons vary depending on the entity you are positioned on. Examples of these controls are New, Edit,and Export to Excel. 1.XML files are case-sensitive, so be sure to respect each node name case to avoid problems. This means that the node name <root> is not the same as <ROOT>. 2.Each node needs to be closed. For example, if you open a node with <root>, you need to later close it with </root>. If the node doesn’t contain children nodes, you can open and close it in the same line—for example, <root />. The site map is the file that describes the items that will be shown on each area. For example, when you are in the workplace area, you can see on the left the site map options of Dashboard, Activities, Calendar, Imports, and so on. These options are quick links to the entities’ administration that you can customize when you want to have another frequently used entity. The site map is an XML file that needs to be exported first to be edited, and then it needs to be reimported to be updated. It is recommended to create a new custom solution with only the sitemap extension in order to update the site map quickly. Go to Settings,Solutions, New, and select the view Client Extensions, as shown in Figure 23.22. 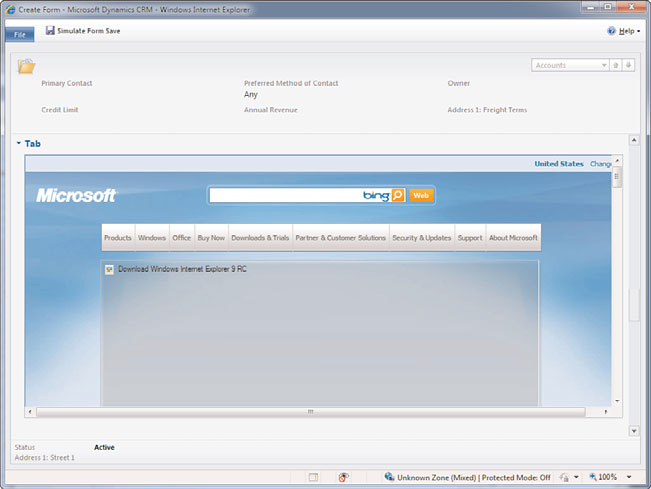 FIGURE 23.22 Locating the site map customization by using the Client Extensions view. This is the main and root entry-level node. Inside this node should be another node with the same name, SiteMap, which will contain all the Area nodes as children. Figure 23.23 illustrates these navigation options or areas on the Web Application user interface. FIGURE 23.23 Areas displayed in the bottom-left corner of the screen. Id—The unique identifier name for each area. ShowGroups—This attribute is necessary only if the area has more than one Group child node. Icon—The URL for the icon to be displayed near the Area title. DescriptionResourceId —This is for internal use only. This element is used to contain a group of subarea nodes. Each group will be displayed on the near navigation above the Area buttons with the ability to be collapsed or expanded.Samples of groups are My Work and Customers that are included by default in the Workplace area. Save the changes and import the solution that contains the site map. To import the site map customizations, go to Settings, Solutions, Import, upload the XML file you edited and click the Import Selected Customizations button. A view is a read-only representation of the entity’s records. It shows just a few of the entity’s fields, and you can see them in the main screen of the entities in the Advanced Find results and in the Look Up Records results. Several different types of views are created by default for each entity, and you can easily create new views. For each view, you can customize the fields to be displayed by adding,removing, or changing the display position of each column. You can also set the desired width in pixels for each column (see Figure 23.20). By default, the columns have a fixed width of 100 pixels. When you have completed your desired changes to an entity, you must publish the customizations so that users can see and use the changes. To publish, select the entity you want to publish and click the Publish All Customizations button, as illustrated in Figure 23.21. Sap crm interview questions and answers for wipro,infosys,nttdata,hcl,saplabs online pdf,ppt,doc free download. Can we create BP categories in customizing. What is the difference b/w BP role and category. Can we give multiple relationships to a business partner. Can we assign sold to party role to the employee. what is the use of contact person. How many ways we can get the Business partner data to the CRM System. what are the general attributes in Org model. what are the different products of sap crm. Fields are used to display the entity fields with input controls; if you created a custom field, as described earlier in this chapter, you will need to add an input control for that field to allow users enter the values. To add a field to the form, just select the field from the Field Explorer list, and drag and drop the field to the section or tab you want. 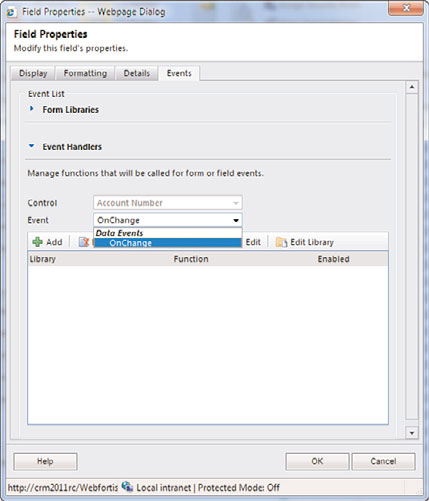 FIGURE 23.11 Adding fields to be displayed. You can also select the section where you want to place the field and go to the Field Explorer and double-click the field you want—it will be added to the selected section (see Figure 23.12). FIGURE 23.12 Fields added to the section. 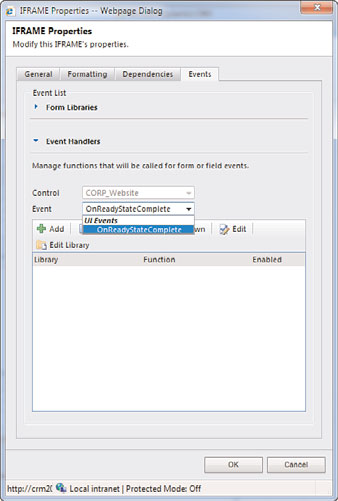 You can use IFRAMEs to display custom applications or pages inside the form. This is extremely helpful when you need to use advanced input/output controls that are not included in the CRM controls toolset. Examples include a complex grid, a picture control,or a movie control integrated with Flash or Silverlight. 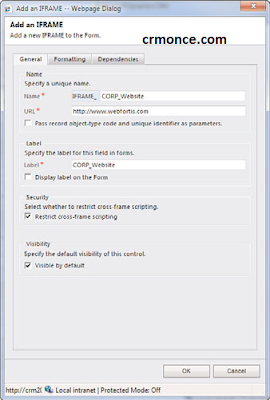 When you click the IFRAME button, you get the dialog in Figure 23.13, which requires the name for the IFRAME as well as the URL of your application. FIGURE 23.13 Adding an IFRAME. For example, we are going to enter CORP_Website in the Name property and http://www.webfortis.com in the URL property. 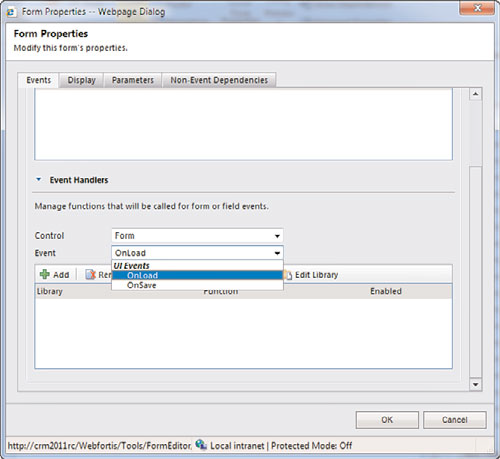 When adding the IFRAME with the default values, you will see the IFRAME inserted in the form, as shown in Figure 23.14. Most of the times you want the IFRAME to expand vertically to fill the entire form. 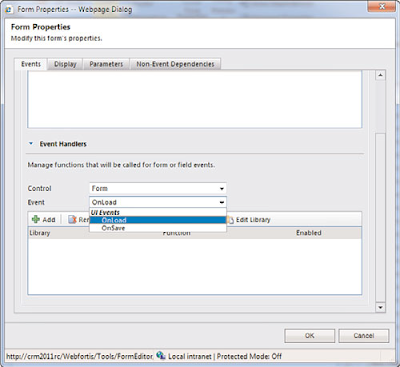 To do that, select the IFRAME and click on Change Properties, and then move to the ormatting tab. 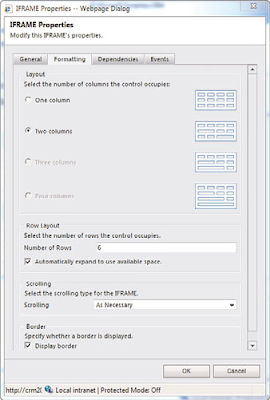 Under the Row Layout section of the dialog, check the Automatically expand to use the available space check box (see Figure 23.15). In the Scrolling section, you can choose whether you want to have the IFRAME show the scrollbars (vertical and horizontal) as necessary (which is the default value), always, or never. Finally, you can specify whether you want to show a border around the IFRAME by clicking the Display Border property inside the Border section. Click the OK button to accept this change. You will not see the IFRAME expand on the form in design mode, but it will be expanded when running the application. FIGURE 23.14 IFRAME added to the form. FIGURE 23.15 Making the IFRAME to expand to use the available space. FIGURE 23.16 IFRAME test with errors. 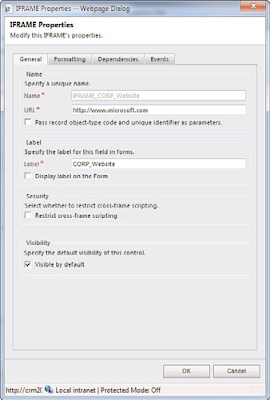 accomplished by setting the check box that says Pass Record object-type Code and Unique Identifier as Parameters. FIGURE 23.17 Removing the cross-frame scripting protection. condel :- Use condel to delete one or more items from a container. confind :- Use confind to locate a sequence of items in a container. conins :- Use conins to insert some items into a container. conlen :- Use conlen to find out how many items there are in a container. connull :- Use connull to explicitly dispose of the contents of a container. conpoke :- Use conpoke to replace (poke) an item in a container. 2. Difference between edit and display method? Display Indicates that the method's return value is to be displayed on a form or a report. Edit Indicates that the method's return type is to be used to provide information for a field that is used in In a form. The value in the field can be edited. Perspectives can organize information for a report model in the Application Object Tree (AOT).A perspective is a collection of tables. You use a report model to create reports.Table collection is a collection of table, which sharing across all the virtual companies. 4.What are the 4 types of files we need to copy to the standard folder? 5. Why we use virtual companies? Virtual company accounts contain data in certain tables that are shared by any number of company accounts. This allows users to post information in one company that will be available to another company. 6. How can we restrict a class to be further extended? 7.Which are classes are used for data import export? 8. 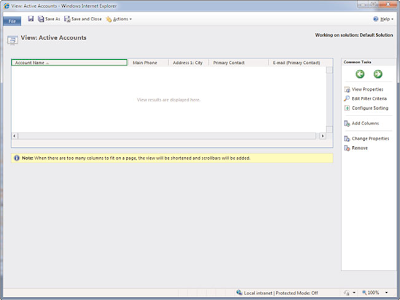 From which table u can get the user permissions stored in Ax? 9.What should we do if we need last record to be active when a form is opened? In properties of datasource table set the StartPosition property as last. 10. What is the sequence of events while a report is generated? 11. Name few X++ classes/Coreclasses related to Queries? 12. What is an index? IntelliMorph is the technology that controls the user interface in Microsoft Dynamics AX. The user interface is how the functionality of the application is presented or displayed to the user. 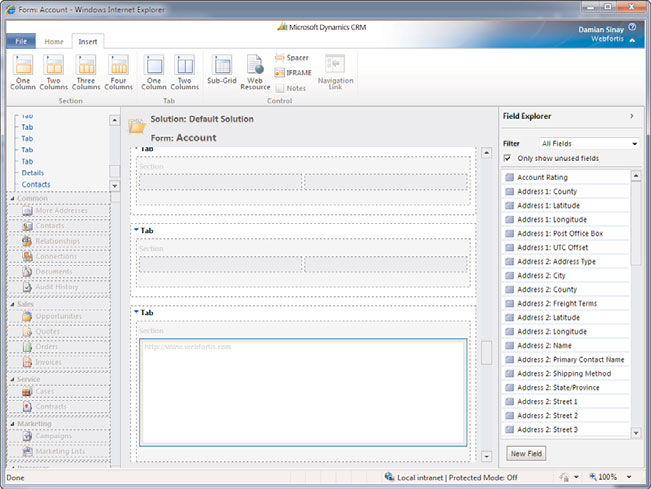 IntelliMorph controls the layout of the user interface and makes it easier to modify forms, reports, and menus. The MorphX Development Suite is the integrated development environment (IDE) in Microsoft Dynamics AX used to develop and customize both the Windows interface and the Web interface. X++ is the object-oriented programming language that is used in the MorphX environment . refresh() will not reread the record from the database. It basically just refreshes the screen with whatever is stored in the form cache. reread() will only re-read the CURRENT record from the DB so you should not use it to refresh the form data if you have added/removed records. It's often used if you change some values in the current record in some code, and commit them to the database using .update() on the table, instead of through the form datasource. In this case .reread() will make those changes appear on the form. research() will rerun the existing form query against the data source, therefore updating the list with new/removed records as well as updating existing ones. This will honour any existing filters and sorting on the form. research() except it takes query changes into account. The Microsoft Dynamics AX Object Server (AOS) is the second-tier application server in the Microsoft Dynamics AX three-tier architecture. In a 3-tier solution the database runs on a server as the third tier; the AOS handles the business logic in the second tier. The thin client is the first tier and handles the user interface and necessary program logic. Adding the "index" statement to an Axapta select, it does NOT mean that this index will be used by the database. What it DOES mean is that Axapta will send an "order by" to the database. Adding the "index hint" statement to an Axapta select, it DOES mean that this index will be used by the database (and no other one). Difference between temp table and container. 1.Data in containers are stored and retrieved sequentially, but a temporary table enables you to define indexes to speed up data retrieval. 2. Containers provide slower data access if you are working with many records. However, if you are working with only a few records, use a container. 3.What is the difference between Index and Index hint? Utility and use of find method. 4.How many types of data validation methods are written on table level? 5.How many types of relations are available in Axapta, Explain each of them. 6.When the recid is generated, what is its utility, what are the different types of Table groups defined on table properties. 7.Difference between Primary & Cluster index. 8.How many kind of lookups can be made and how. 2. Multiple inheritance possible or not, if not how can we overcome that. 10. Which class is called when we create a SO/PO. 11. What are classes used to write query. 12. What is a static method, why do we make static methods and where can we write it. 21. When a form opens what are the sequential methods called. 2. What are the keywords used to access data from "multiple companies" and "one company to another company". 4. How do the following methods work in a form DS. 1.What are the classes, Tables, Forms and Methods used to post the sales orders. 2. What are the classes, Tables, Forms and Methods used to post the purchase orders. 3. What are the classes, Tables, Forms and Methods used to post the Ledgers. 4. What are the classes, Tables, Forms and Methods used to post the Inventory. 5. What is the base class to send the on-boad E-mailing. 6. What are the storage Dimensions? 7. What are the Item Dimensions? 8. What is the difference between RunBase and RunBaseBatch? 9. How do you create a NumberSequence for existing Module and also fro new Module. 10.What is the difference between Insert and doinsert. 11.What is the Runbase Stack? 4.&& and || for logical operator ,not AND or OR as in SQL. 5. * and ? for like wildcards ,not % and _ as in SQL. 2.Defauld JOIN direction is left . A very large Dynamics CRM end user has an immediate need for a Dynamics CRM Developer in the Vancouver, WA area. The company is working on migrating their old CRM system to a Dynamics CRM system and needs a very senior developer with Dynamics CRM experience to help lead the project. Because this is an immediate need, the company is offering a salary much higher than normal - as high as $150k for senior-level candidates. To apply: Send resumes directly to Aman Gupta (a.gupta@nigelfrank.com) and call me at 415-580-3000 for more information. Nigel Frank International is the global leader for Microsoft Dynamics recruitment, advertising more Dynamics CRM jobs than any other agency. We deal with both Microsoft Partners & End Users throughout North America. By specializing solely in placing candidates in the Microsoft Dynamics market I have built relationships with most of the key employers in North America and have an unrivaled understanding of where the best opportunities and Dynamics CRM jobs are. I understand the need for discretion and would welcome the opportunity to speak to any Microsoft Dynamics CRM candidates that are considering a new career or job either now or in the future. Confidentiality is of course guaranteed. For information on the Microsoft Dynamics market and some of the opportunities and Dynamics CRM jobs that are available I can be contacted on 1-415-580-3000 Please see www.nigelfrank.com for more fantastic Microsoft Dynamics opportunities! Nigel Frank International Inc. is acting as an Employment Agency in relation to this vacancy. The Developer will support the Project Manager as well as work hand in hand with a team of software developers. The ideal candidate will need to have a strong background in Dynamics CRM development and business process optimizations. Send resumes directly to Daniel Roberts at d.roberts@nigelfrank.com or call me directly for more information at 415.580.3000. Nigel Frank International is the global leader for Microsoft Dynamics recruitment, advertising more Dynamics CRM jobs than any other agency. We deal with both Microsoft Partners & End Users throughout North America. By specializing solely in placing candidates in the Microsoft Dynamics market I have built relationships with most of the key employers in North America and have an unrivalled understanding of where the best opportunities and Dynamics CRM jobs are. I understand the need for discretion and would welcome the opportunity to speak to any Microsoft Dynamics CRM candidates that are considering a new career or job either now or in the future. Confidentiality is of course guaranteed. For information on the Microsoft Dynamics market and some of the opportunities and Dynamics CRM jobs that are available I can be contacted on 415.580.3000. Please see www.nigelfrank.com for more fantastic Microsoft Dynamics opportunities!